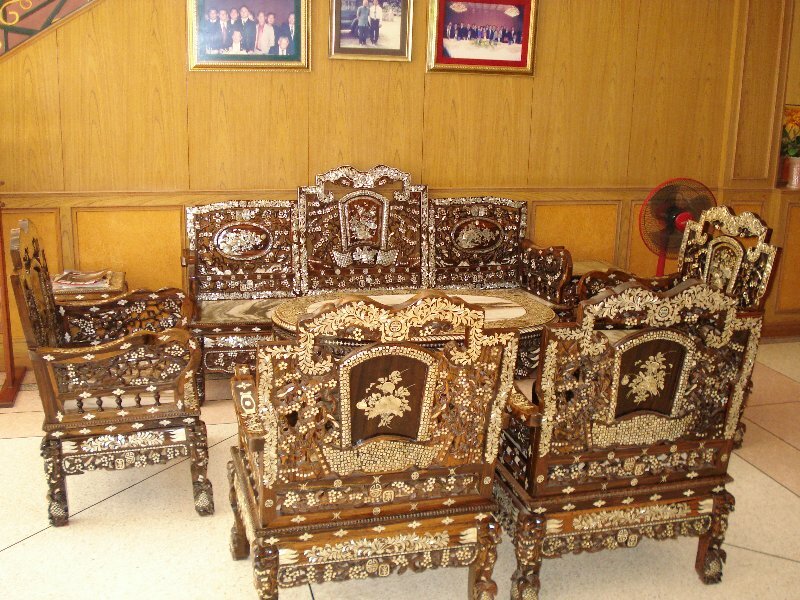 Hand carved table set found in a hotel lobby in Mukdahan. Absolutely beautiful craftsmanship. Wow! I can’t help wondering how long it took to make each chair. This is a very passionate indulgence into a wonderful land-the pictures you’ve put in here prove. Amazing stuff-to be interested in a culture & to follow it so passionately. Carry on, wish you even greater pleasures. Pushhyarags last blog post..Where is the Key to Entry Card?